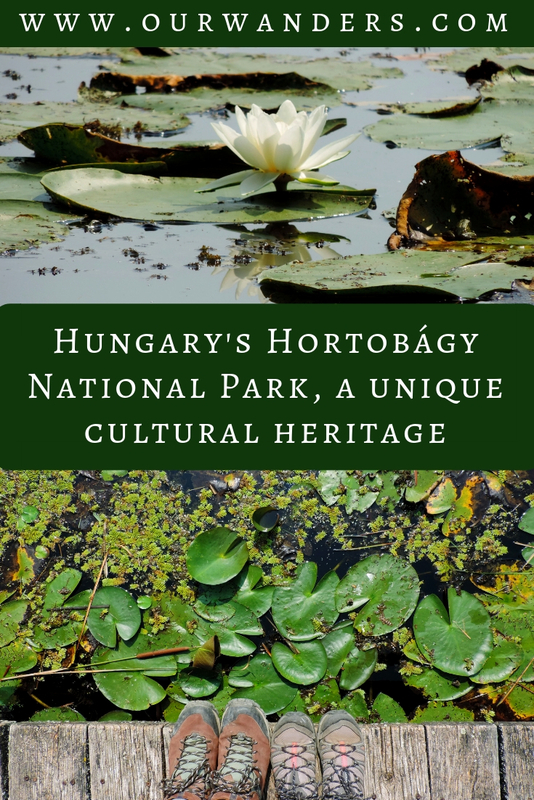 Honestly, out of the 10 national parks of Hungary, Hortobágy was the one we were least interested in. There, I said it. And there’s nothing wrong with that. Because Hortobágy is plain, and we are so in love with mountains. But could you live an hour drive from a national park and not visit it? We decided we can’t. It should be a national park for a reason after all. Why Hortobágy National Park is significant? Actually, there are several reasons that Hortobágy is a national park and also a UNESCO World Heritage Site – not natural, but cultural. This vast area of plains and wetlands in eastern Hungary is called Puszta in Hungarian, and the official UNESCO site also calls it “the Puszta”. It means the eternal grassland and some more. I guess it’s like salami or palinka. It’s so Hungarian that it’s not even worth trying to translate it. Hortobágy is a unique example of the harmonic interaction of man and nature. The traces of its traditional land-use forms are still visible today. “The Puszta” means grazing grey cattle herds, Racka sheep flocks or horses, traditional roadside inns (called csárda in Hungarian), shaduf wells and the unbroken horizon as far as the eye can see. However inspiring this landscape was for a lot of poets and writers, we found it challenging to enjoy. Because what can we actually see there? The eternal grassland and the grazing livestock. It’s an idyllic scene. But what else can we see? Any scenic trails? No mountains, obviously. (I know we’re the worst.) But maybe some trees? Or something other than just grass? Fortunately, Hortobágy is a grassland-wetland mosaic habitat. 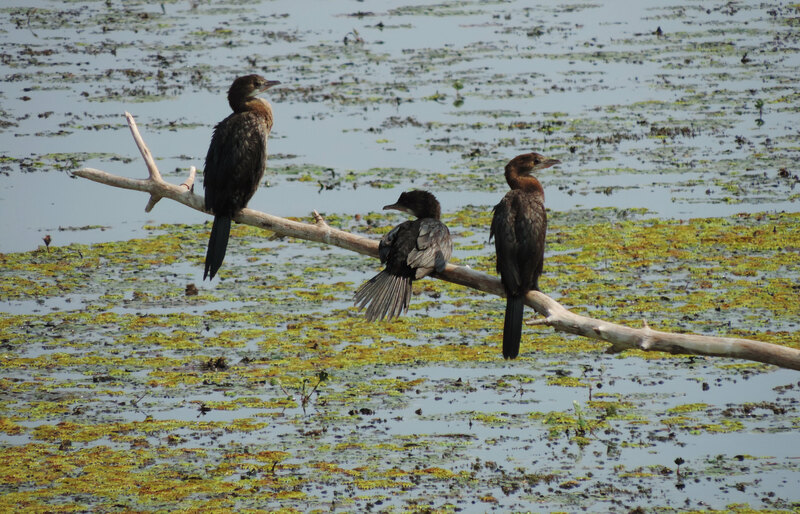 And wetlands are rich in bird species. So we signed up for a guided bird watching tour. It happened about 2 years ago. Then came a sunny weekend this summer. We were thinking about a day trip somewhere close to Budapest. 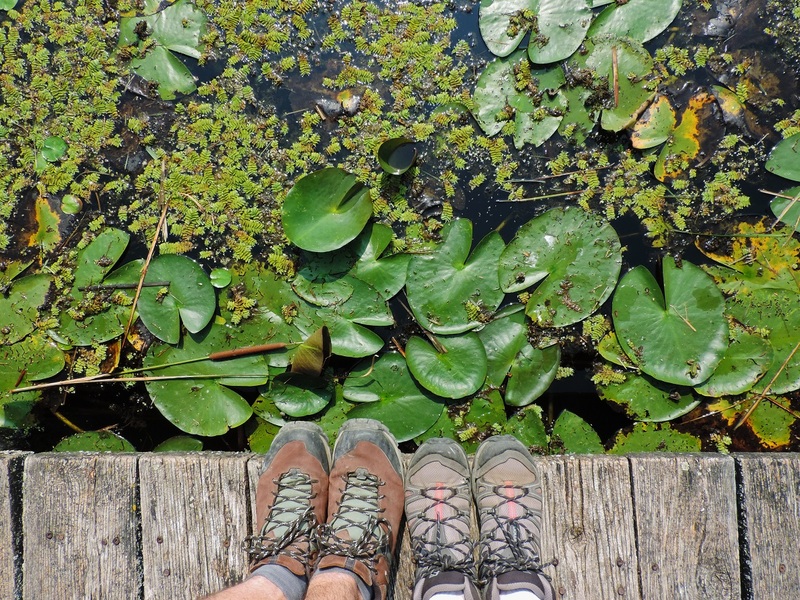 Lake Tisza caught our eyes. It’s a different part of Hortobágy National Park than where we’ve been. And it’s a big lake. Lakes are nice, aren’t they? We agreed to give Hortobágy another chance. And Lake Tisza turned out to be an exciting place. If we wouldn’t have known, we couldn’t have figured that it’s an artificial lake – the largest one in Hungary. 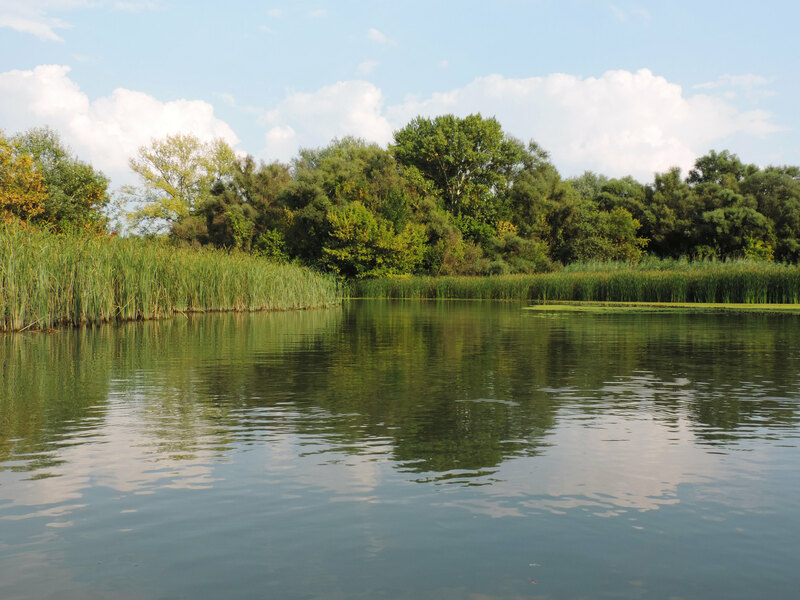 Its life started as part of the ongoing Tisza River flood control project in the 1970s. And today it’s a diverse land of zigzagging channels, reedy areas, water passages, wide blue water areas and flood basin forests. 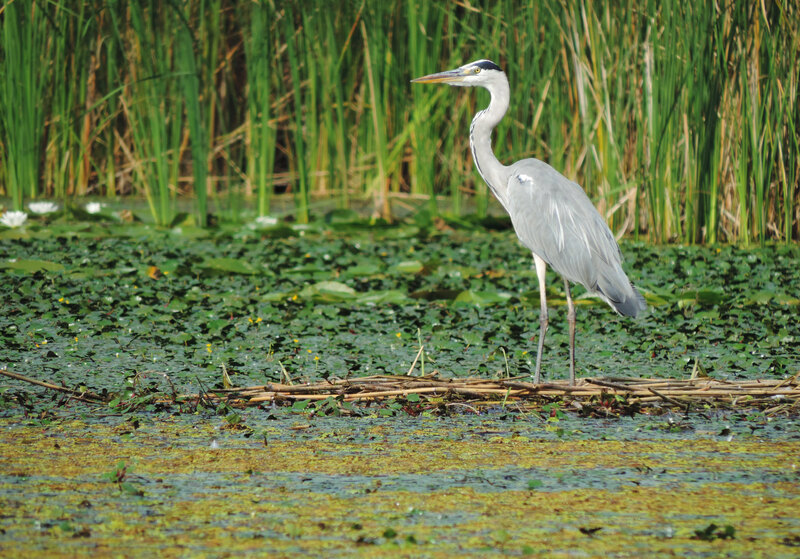 It’s home to countless bird species. 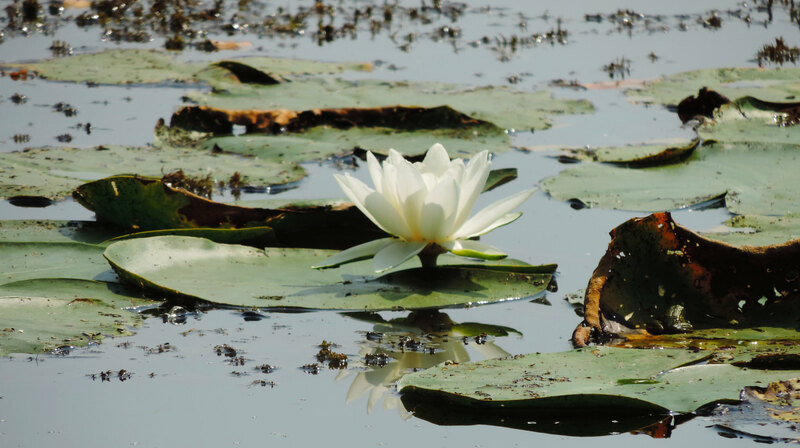 Its surface is decorated with colorful wetland flowers. There’s an educational trail that offers a close view of this unique wetland, because it’s built on the water. The 2 kilometres long boardwalk is actually built in the middle of Lake Tisza. After we bought our tickets, we were taken to the trailhead by boat. From there we could explore the trail on our own. 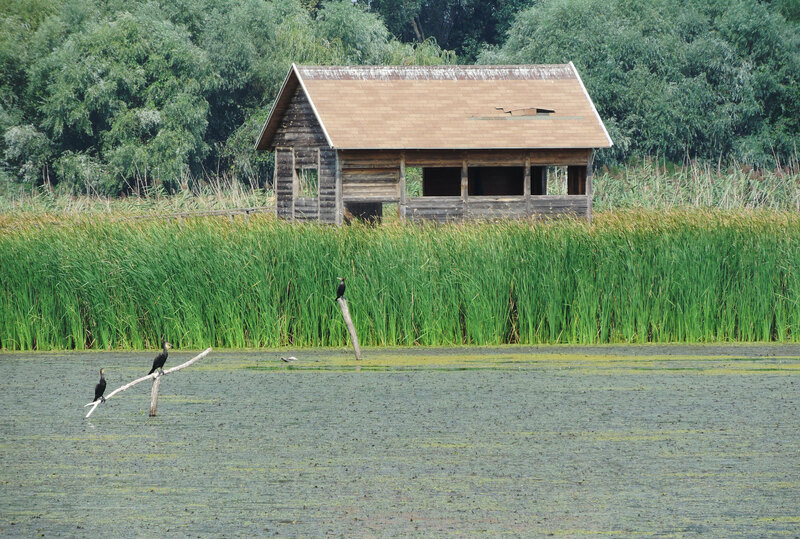 We found several viewpoints for bird-watching, and a lot of information about the birds, plants and fish that we can see in and around Lake Tisza. Luckily, we caught a glimpse of some birds, too. 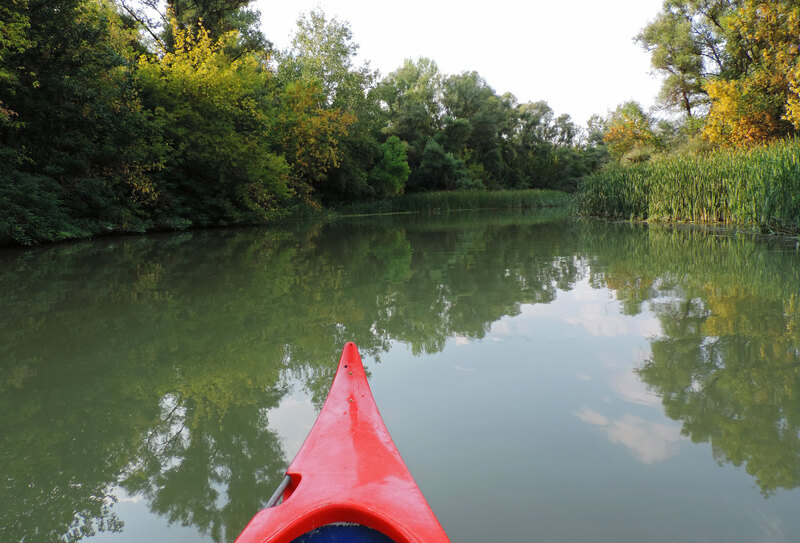 But the highlight of our day was renting a canoe and going out to explore Lake Tisza on our own. We paddled through those narrow zigzagging channels surrounded by reeds and other wetland plants. Trees reflected in the calm surface of the water. And in the peace and quiet of these narrow channels, we could observe countless birds. Our favorite was heron. We saw three large herons. They didn’t really care about us as long as we didn’t get too close. Still we were close enough to get amazed. By the end of the day, we drew the conclusion. 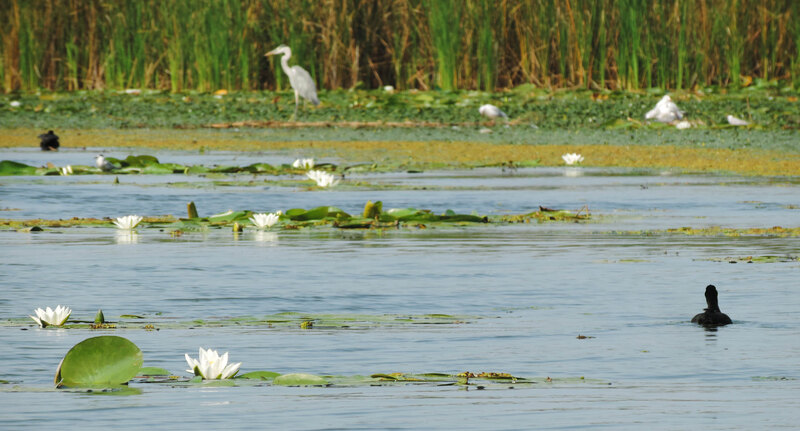 If you want to observe birds, you should try that from a canoe on Lake Tisza. It was our best bird-watching experience in Hungary so far. And we found our reason to return to Hortobágy National Park again.